Politically minded standup comedian brings his perspective to Just For Laughs in Montreal. Comedian Moshe Kasher made his mark as a lefty, California raised comic unafraid to challenge audiences — and himself — with the nuances of political and social life in the West, but this spring, he took himself out of his "intellectual elite" bubble to host the Comedy Central show Problematic. It's one of a recent slew of political comedy shows on the air, from the highest of brow, Last Week Tonight with John Oliver, to the political commentary from The Daily Show or The Jim Jefferies Show, down to the brutal parody of The President Show. But Problematic was more than the Trump target practice the others can devolve into; the show, and Kasher, wanted to prompt a real conversation about challenging problems. He invited some "enemies" (Ann Coulter) and many comedy friends (Nick Kroll, Hasan Minhaj, Hannibal Buress) and tackled the alt-right, the dark web, Islamophobia, technology and cultural appropriation. With Problematic's seven-episode run complete, Kasher is back on the road with his wife, Natasha Leggero, on their "Endless Honeymoon" tour, appearing at Just For Laughs in Montreal. Expect him to try to continue having dialogue even in a standup context. "When crowd work is done right and it's the art form that I believe it is, you create magic," Kasher tells Exclaim! "The magic is in the interaction between the audience and the standup — it's almost like an orchestral situation. Crowd work sometimes gets a bad rap in standup because 99 percent of it is 'Are there any bachelorette parties in the house?' and 'Where are you from, sir?' In standup, conversation creates immediacy." It's an art that he's very invested in but it's not for everyone, on either side of the equation. "I've always thought that to be truly good at [crowd work] — and this might be dour news for the neophyte standup — is that you either have it or you don't. Every standup can learn enough crowd work to get out of a sticky situation on stage, but in terms of figuring out a way to sharpen it into its own standup weapon, you either have it or you don't. I've got a specific idea that I'm working on for how to make an all-crowd-work special that isn't similar to Todd Barry's. It's a very specific concept special connected to talking to the audience. I think it's an endless resource." With an established style and persona, Kasher doesn't have to adjust to different surroundings too much, and a Canadian context doesn't differ radically from New York or even Alabama. But he's aware of the difference. "There could be no more further insulting juxtaposition than Trudeau versus Trump," Kasher offers. "I'm not saying Trudeau's perfect, but from down here in Mordor, it certainly looks like he is." And while Trump-era comedy has become a talking point, a concern and even a challenge, Kasher knows from experience that time can change any context. "I did standup through much of George W. Bush's presidency," he explains, "and there was a marked difference between doing standup in Bush term one versus Bush term two. In term one, people were very protective of him — you do a Bush joke, and you could feel tension from conservatives in the room — but by the end of this second term, a Bush joke would make the whole room laugh. You could feel on the road that the tenor had changed." The tenor has also changed around another Kasher and Leggero project, TV parody Another Period, which will air its third season next spring. Leggero co-created and stars in the parody that Kasher sums up as "If the Kardashians lived at Downton Abbey." Kasher, who plays a minor role and is also an executive producer, sees that the innocence of that description seems less innocent now. "This season delves into the insane gulf between the haves and the have nots that's becoming more acute in our political climate." 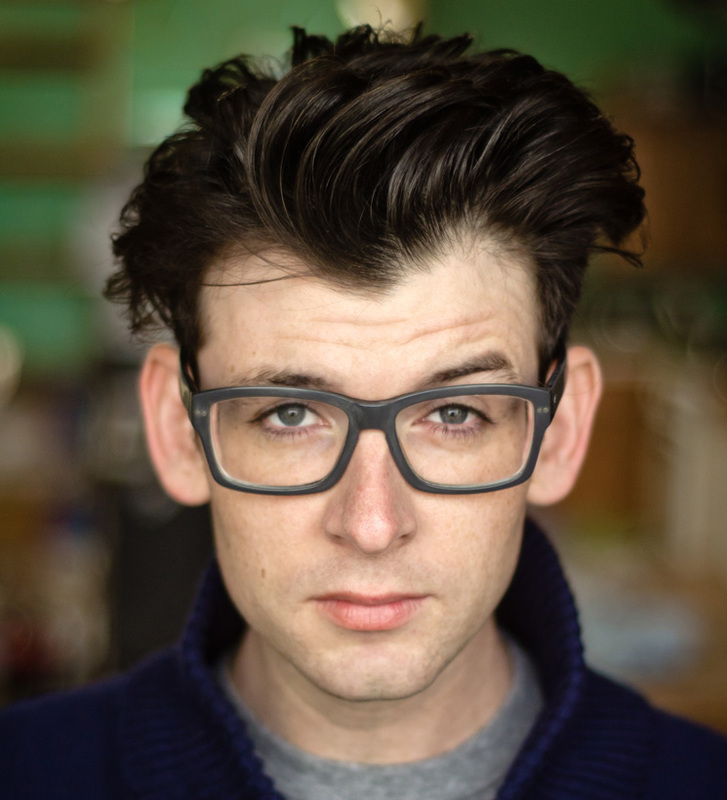 Moshe Kasher has plenty more thoughts on the subject, a conversation he'll be having at Just For Laughs on July 27.